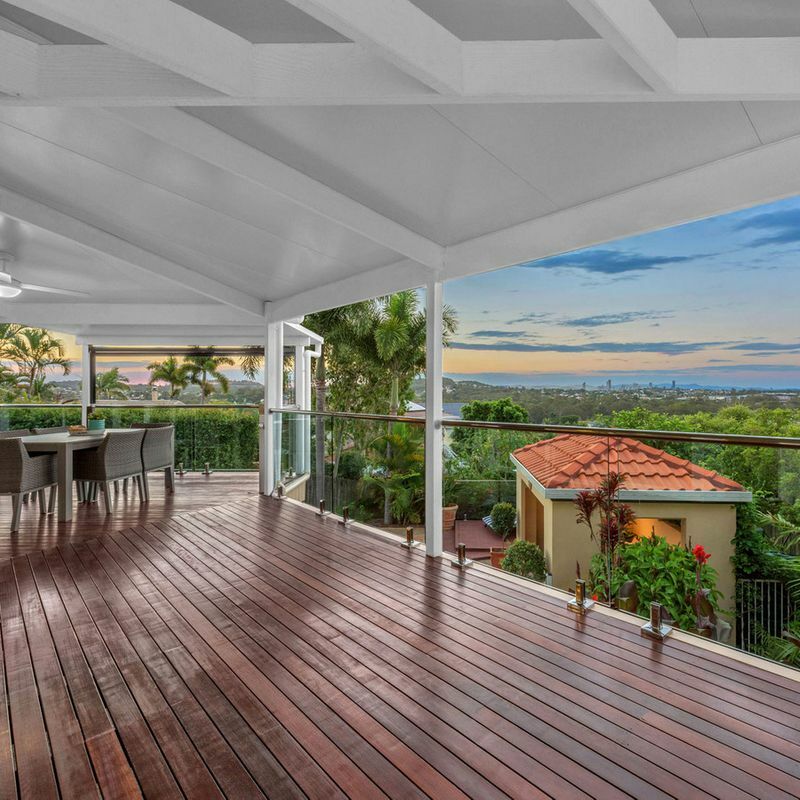 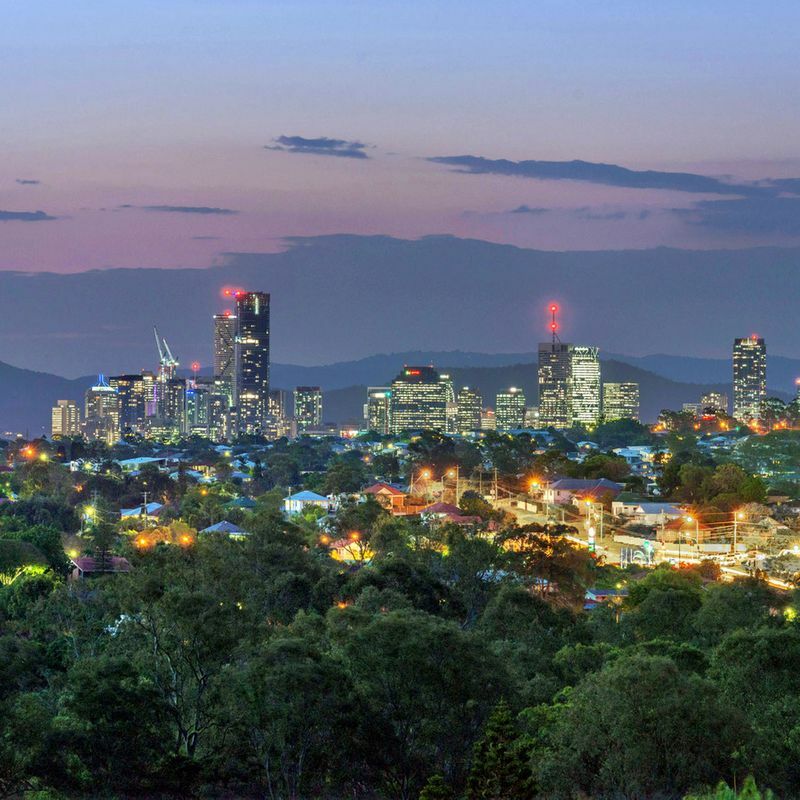 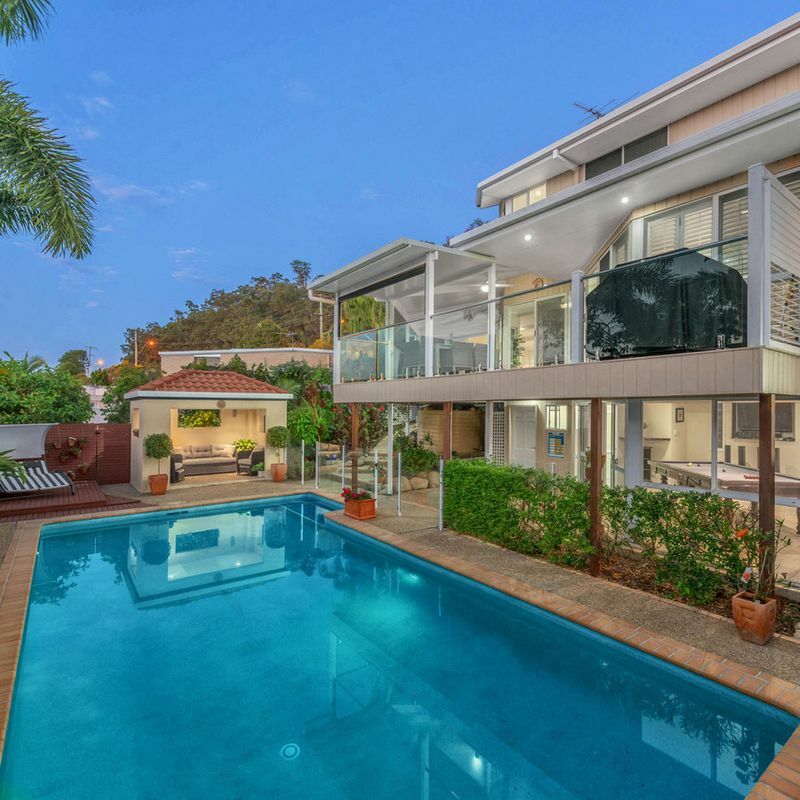 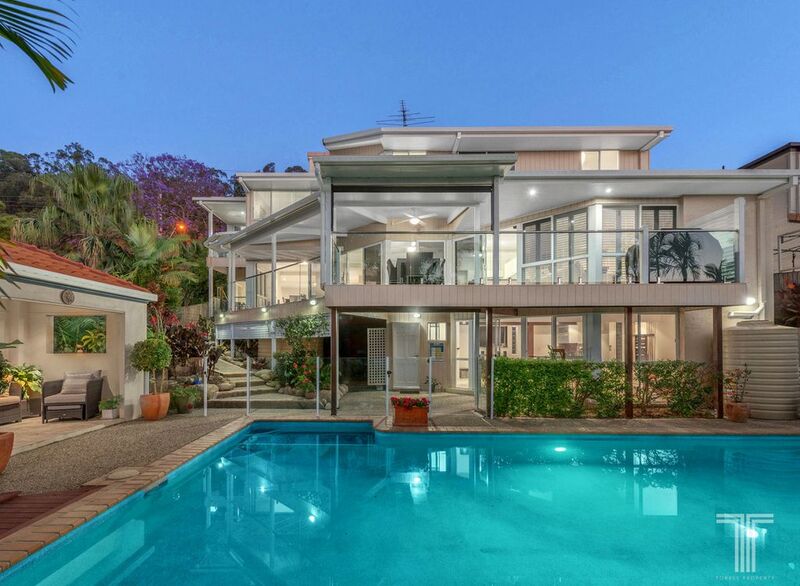 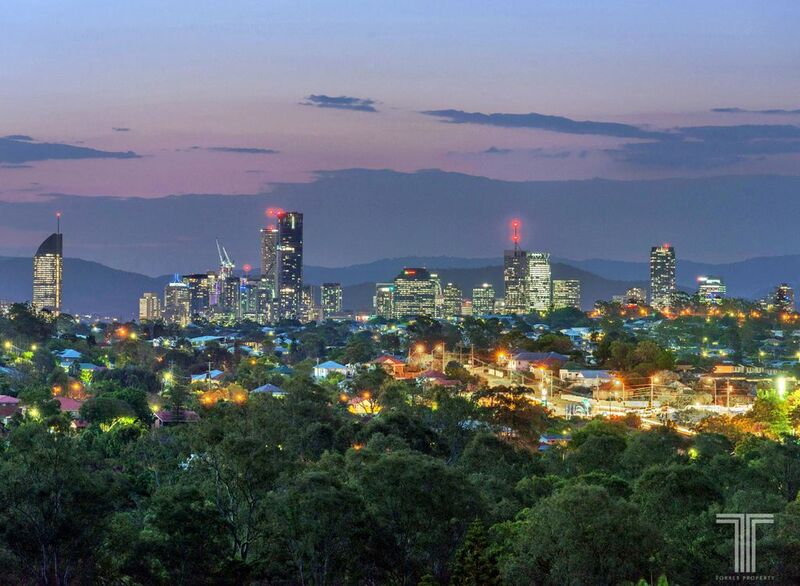 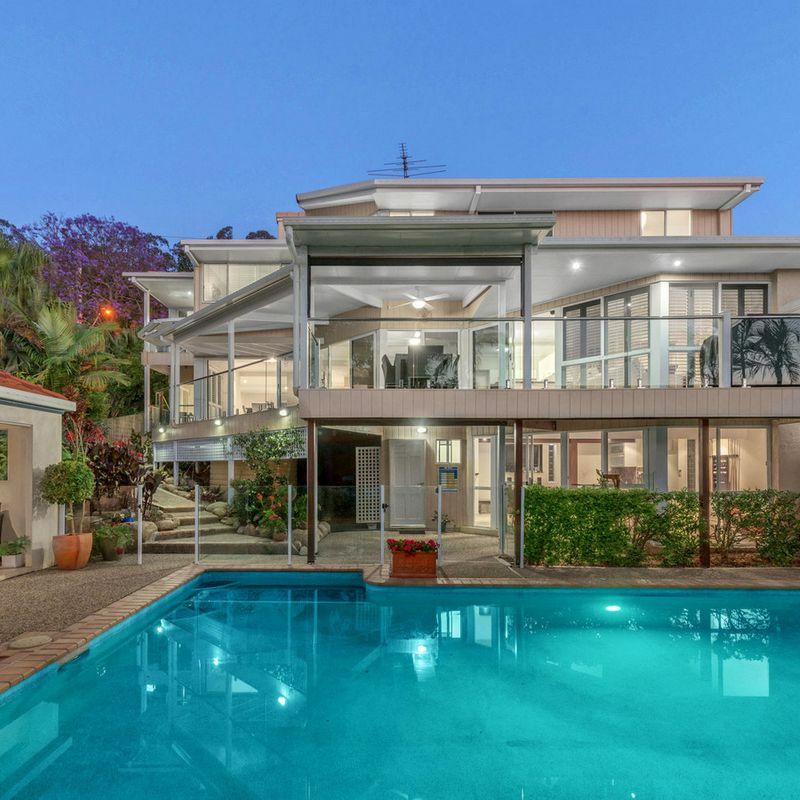 A stunning residence with sweeping treetop and city views, this grand family home, designed by architect Denis Mullins, boasts enviable living and resort-style entertaining. 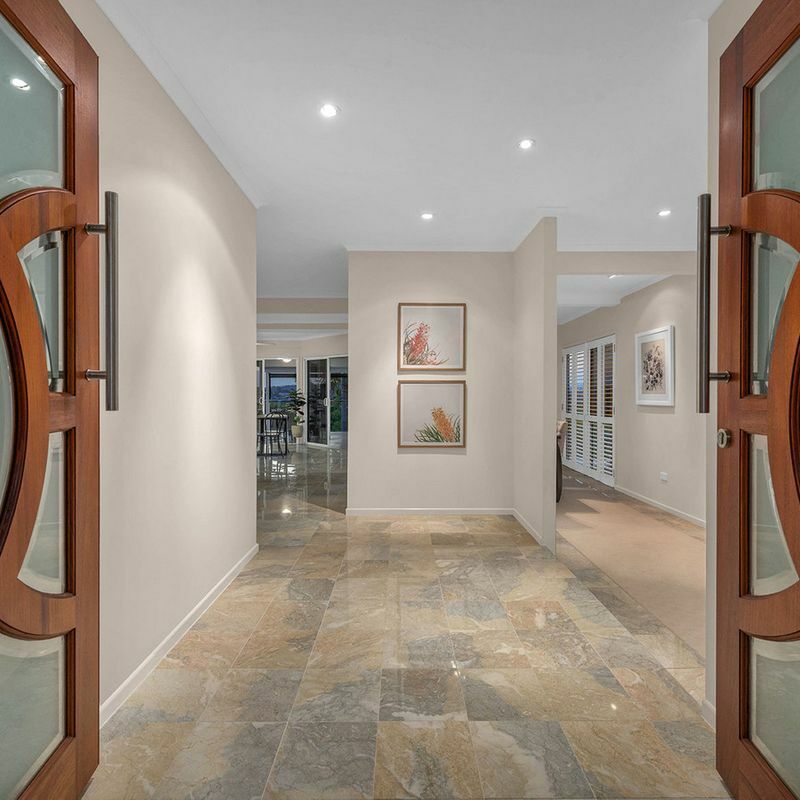 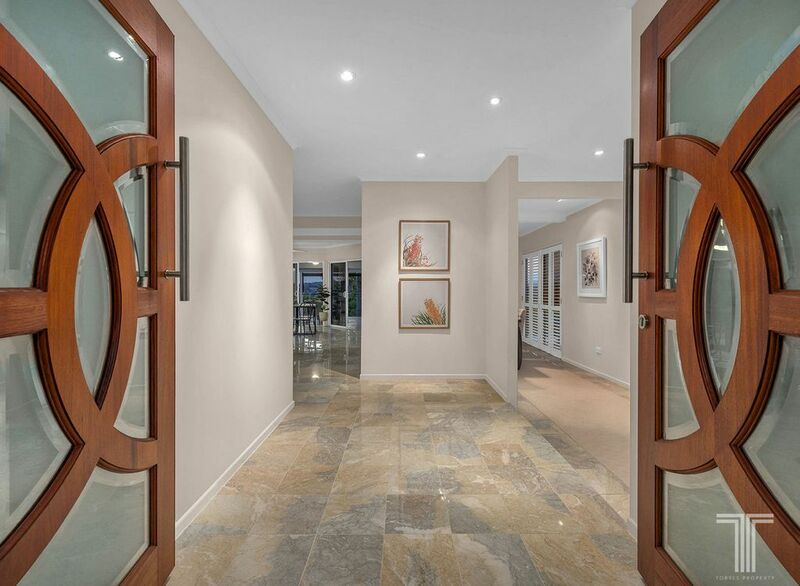 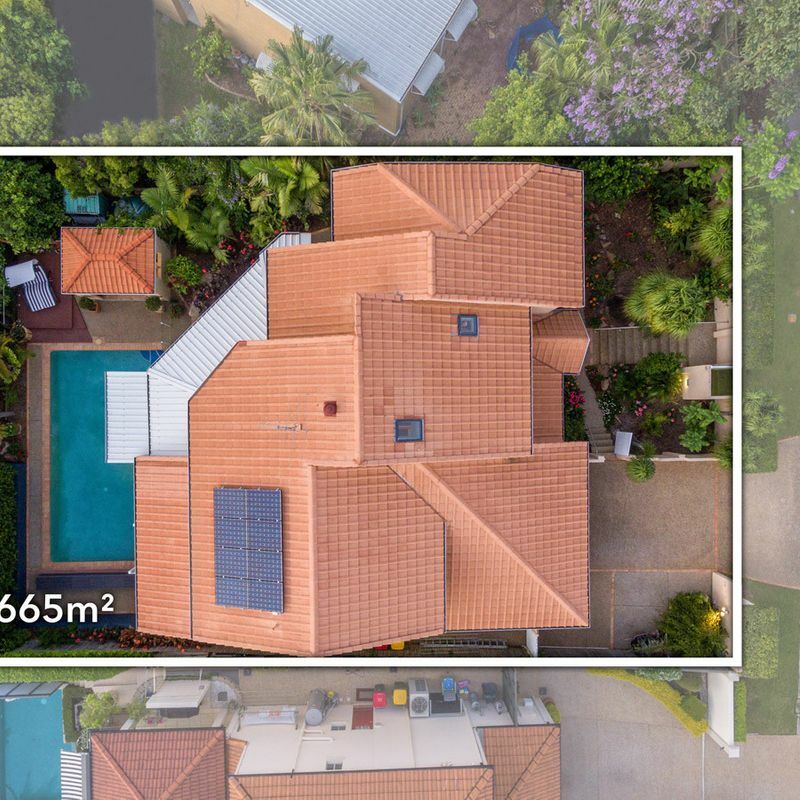 Privately set behind manicured hedges on a 665sqm block, enter inside the home’s lower level and admire the wealth of open plan living space. 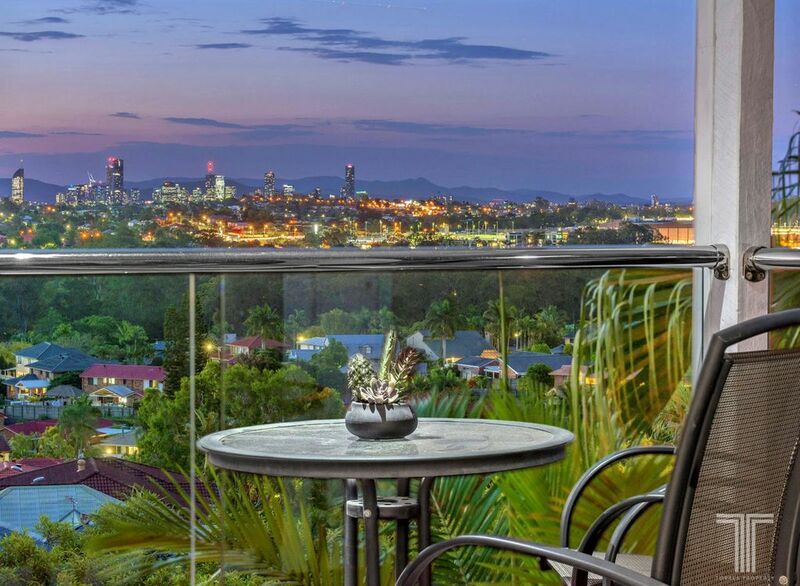 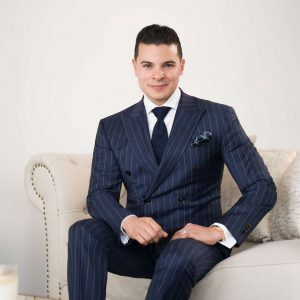 Formal in design and featuring a private balcony, the carpeted lounge and dining area captures stunning district and city views. 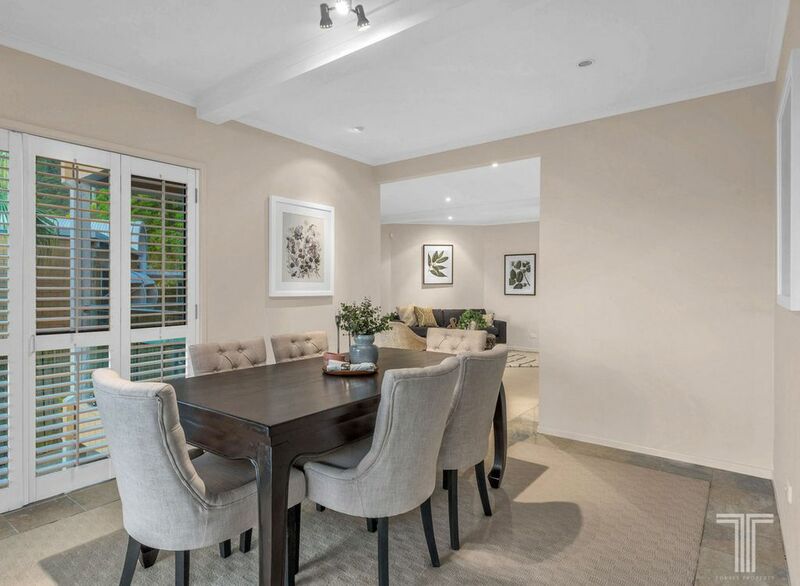 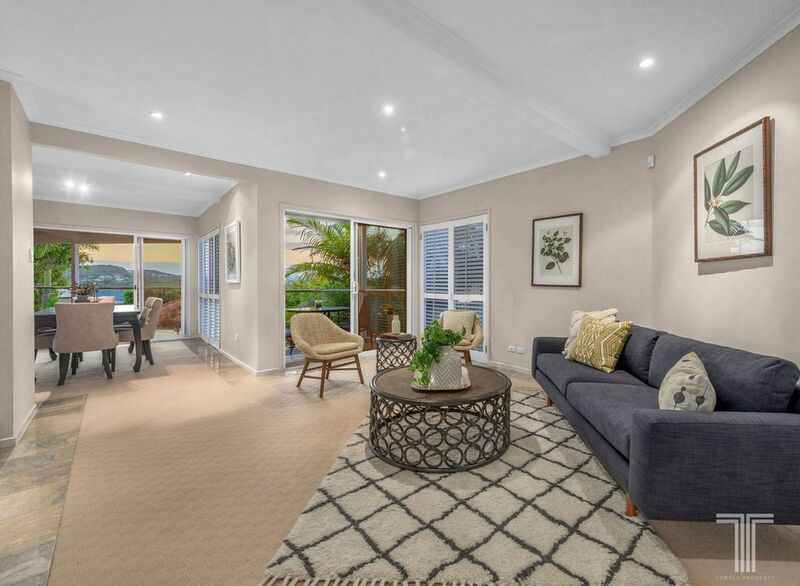 Ideal for more relaxed living, the casual family room and informal dining area is simply filled with natural light. 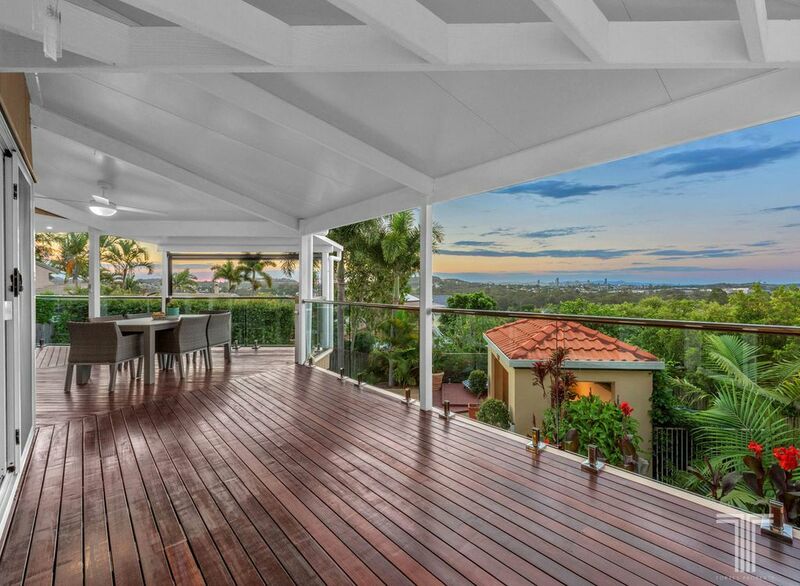 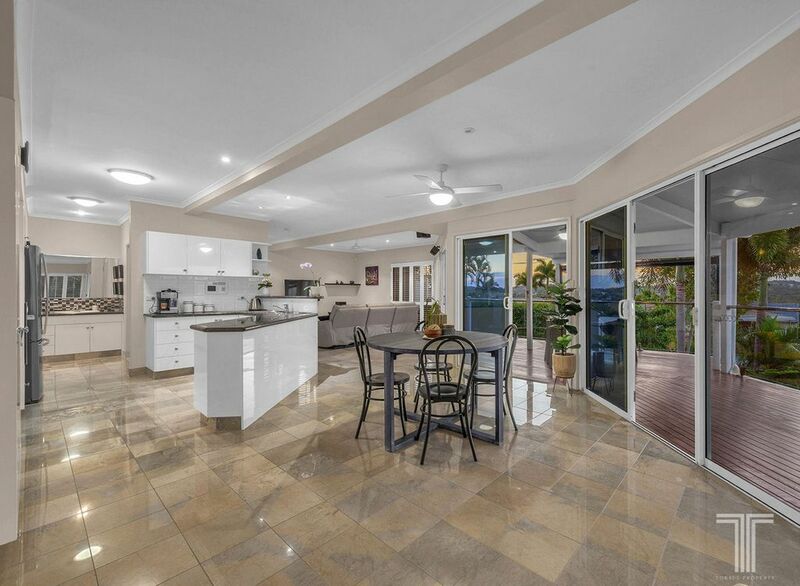 Featuring marble tiled flooring, banks of glass and an expansive entertainer’s deck perfect for any size party, entertain indoors or out amongst the picturesque natural backdrop. 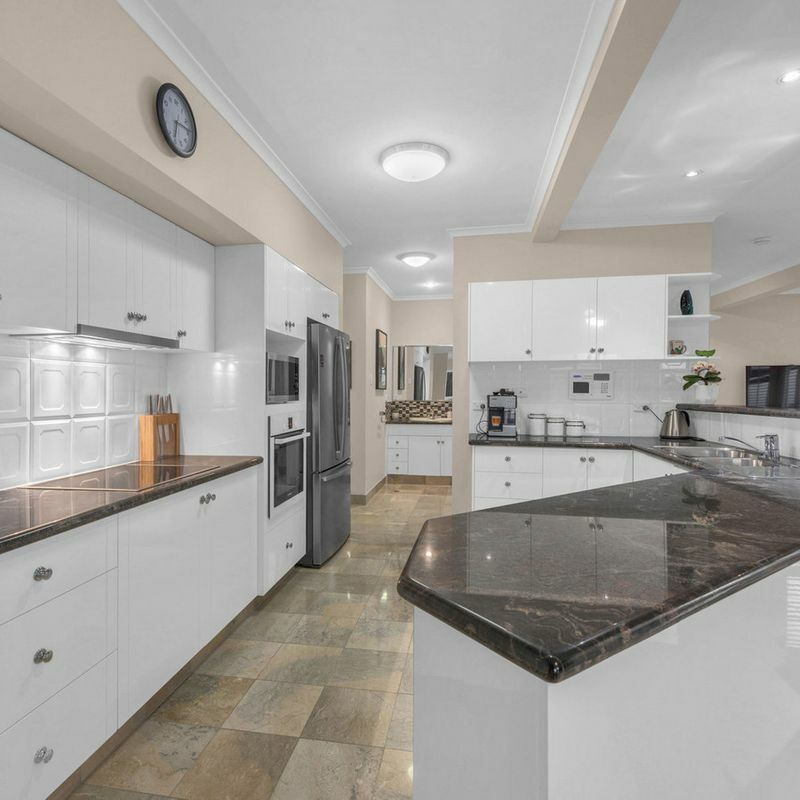 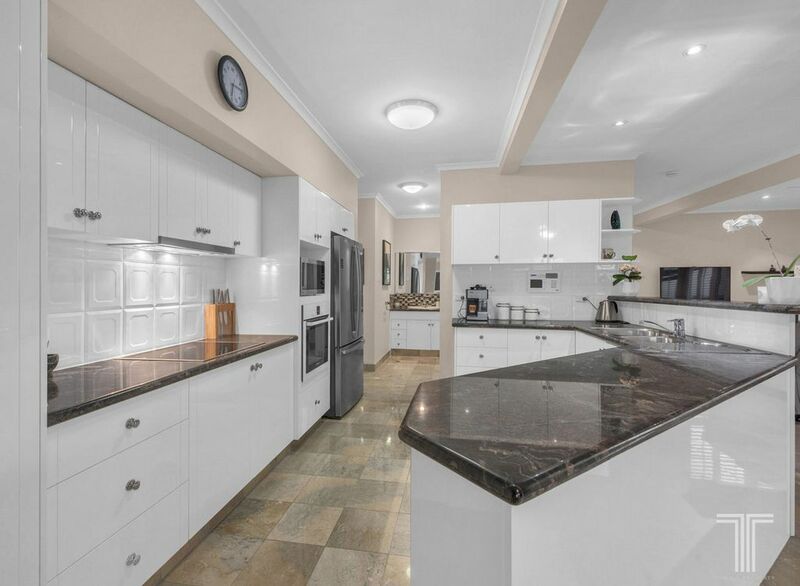 Exquisitely designed and generously sized, the gourmet kitchen boasts large marble benchtops, quality Bosch appliances, ample white cabinetry and plenty of room to prepare and cook meals. 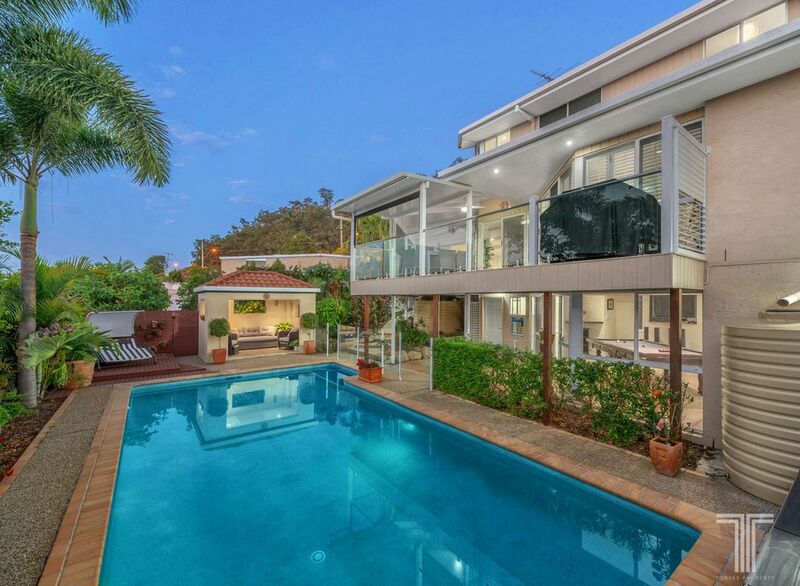 The ultimate resort-style retreat, a glistening 10m swimming pool with cabana and lush surrounding hedges is sure to be enjoyed all summer long. 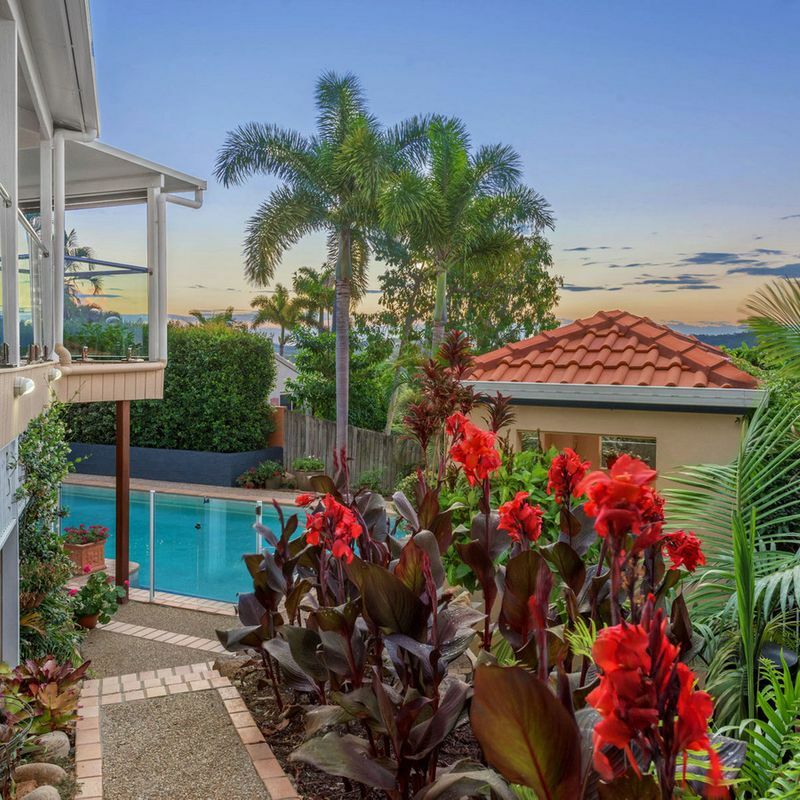 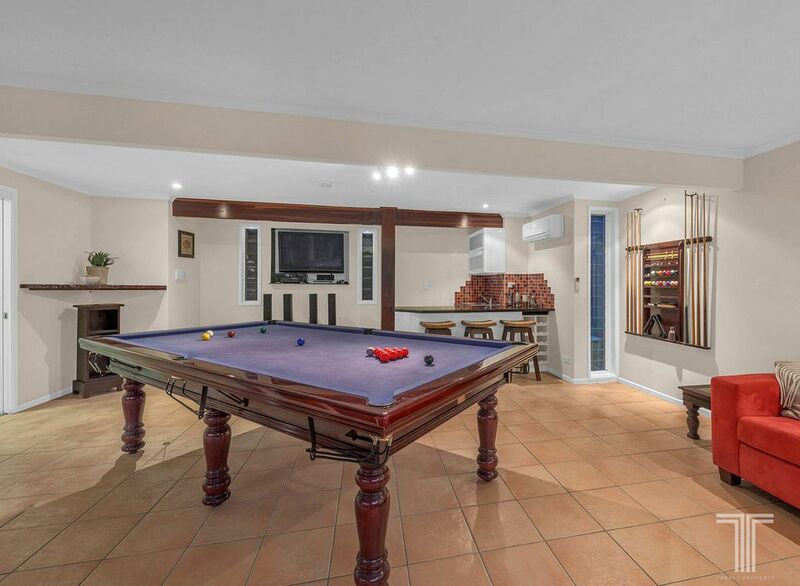 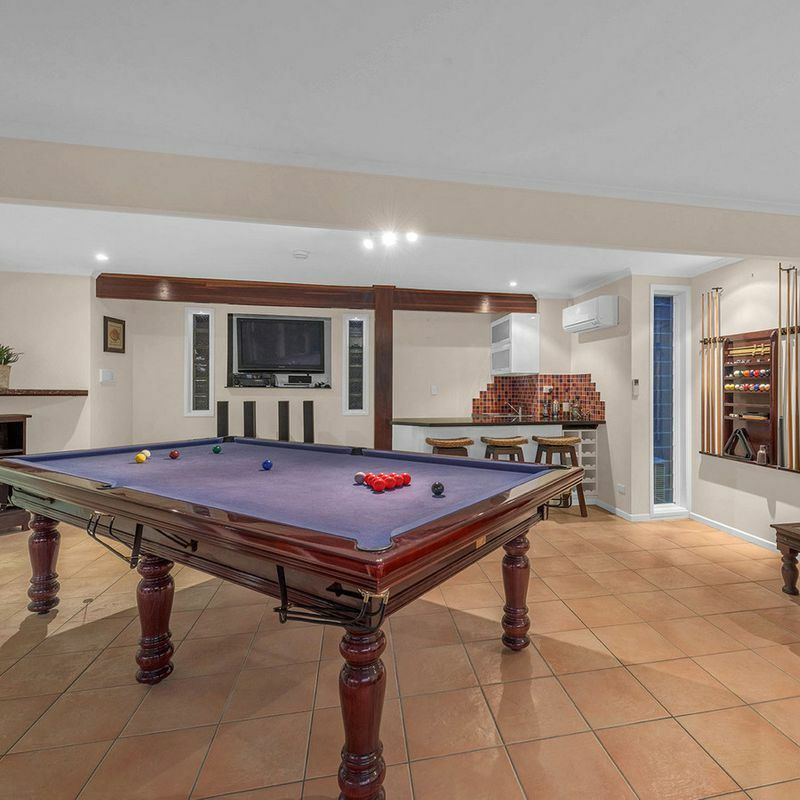 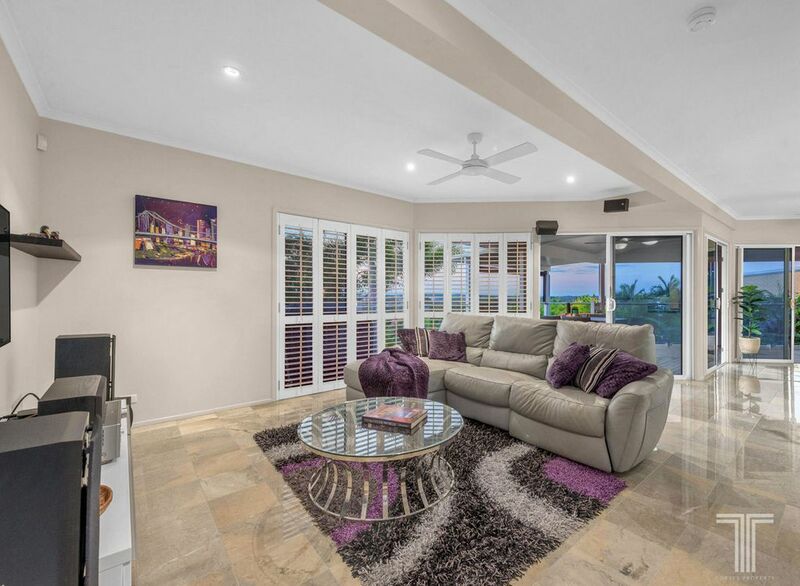 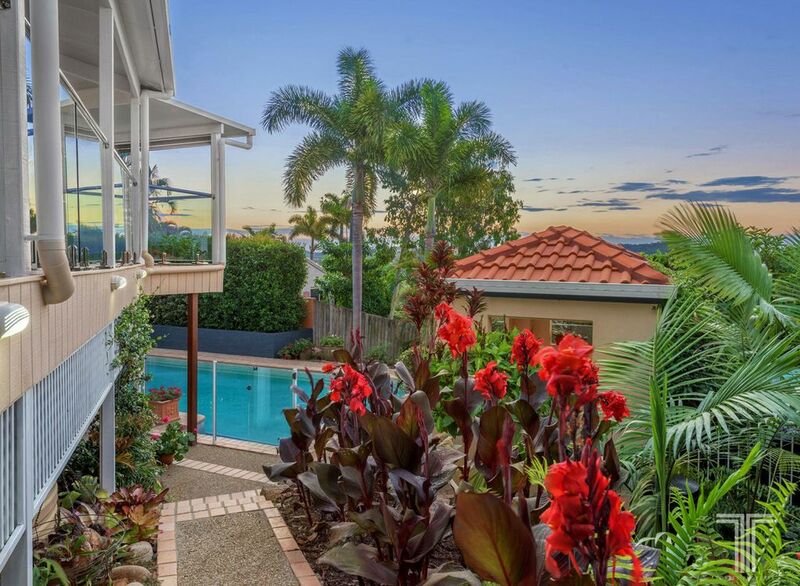 Complete with a billiards/games room featuring a wet bar, wall mounted TV, bathroom and large doors opening directly onto the pool, this idyllic oasis will be a favourite amongst parents and children alike. 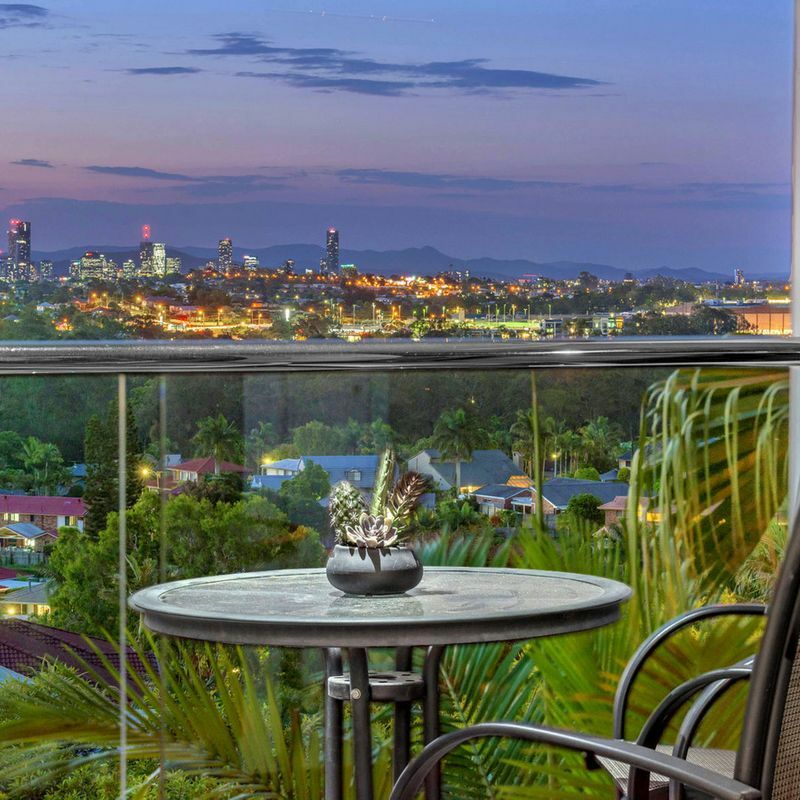 Located on the upper level, an open plan study and main bathroom accompany four spacious bedrooms with stunning city views. 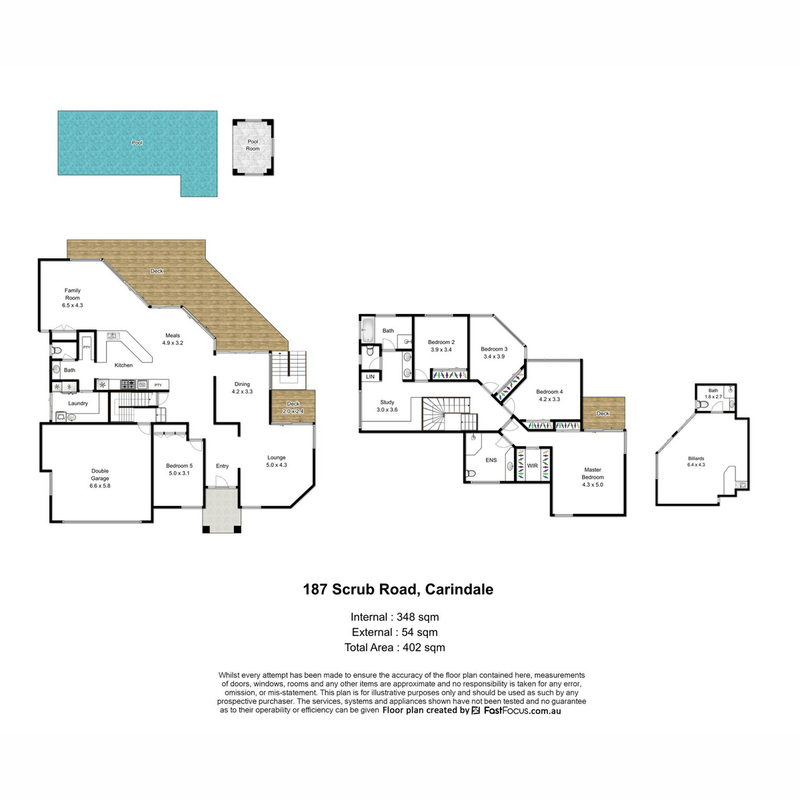 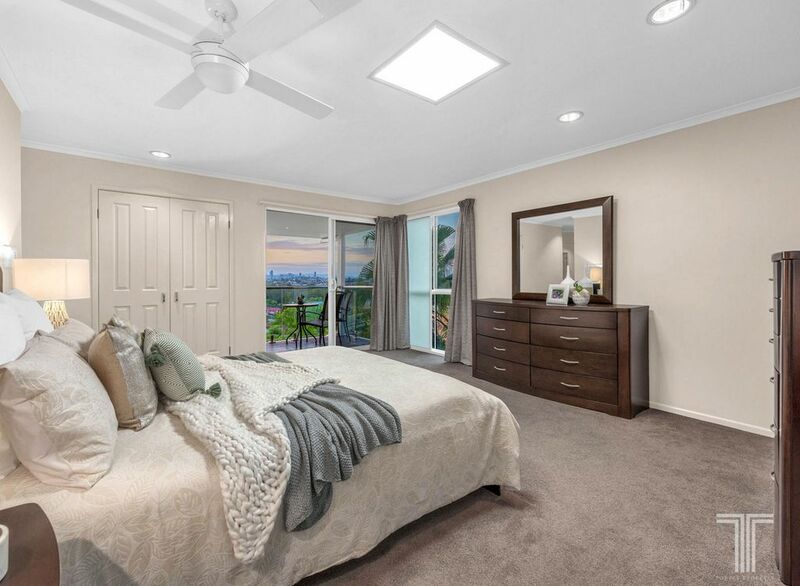 A grand retreat, the master suite boasts a private balcony with elevated outlooks, air-conditioning, walk-in robe, skylight and spacious ensuite. 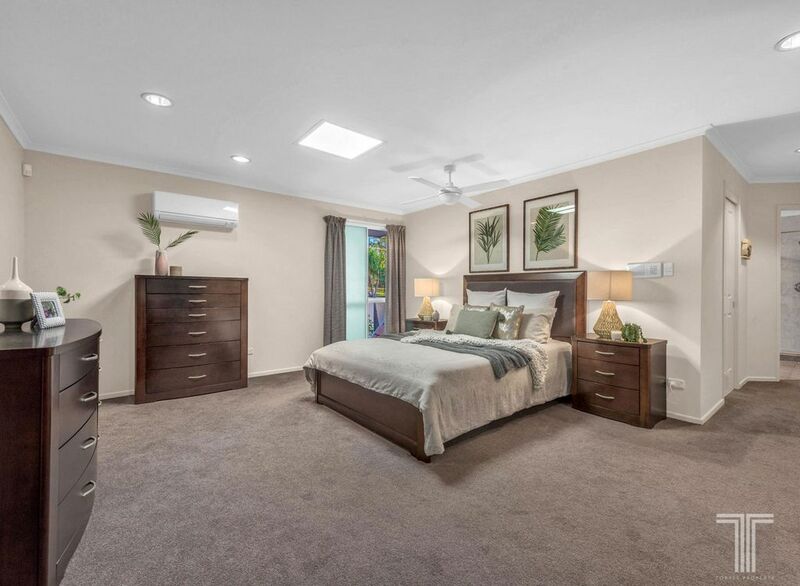 The additional three bedrooms all include built-in robes, with a fifth bedroom ideal for guests located on the ground floor. 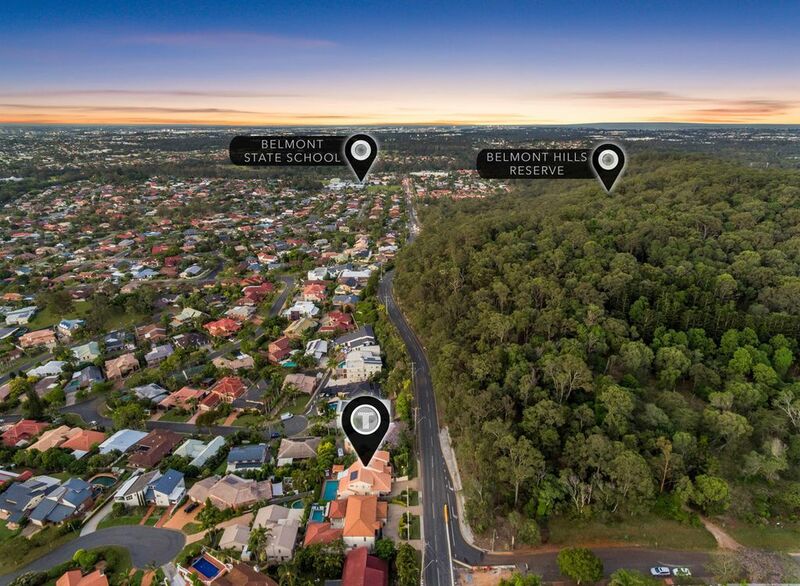 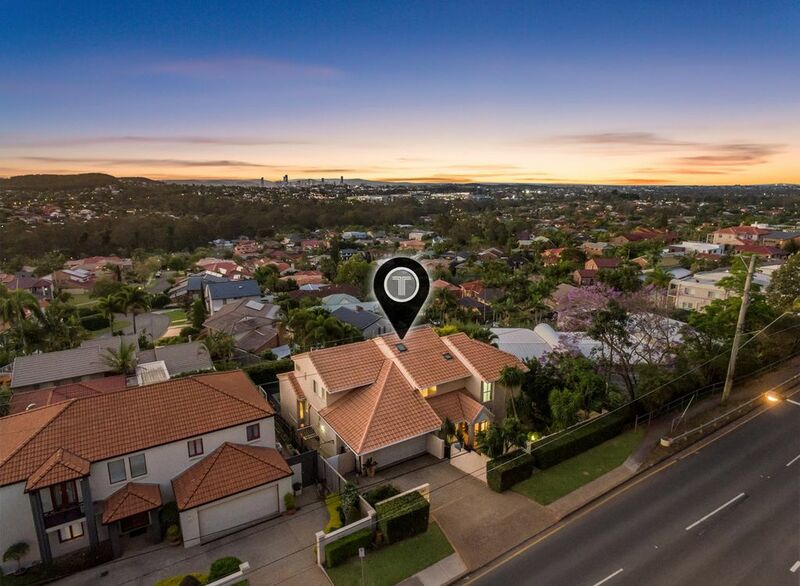 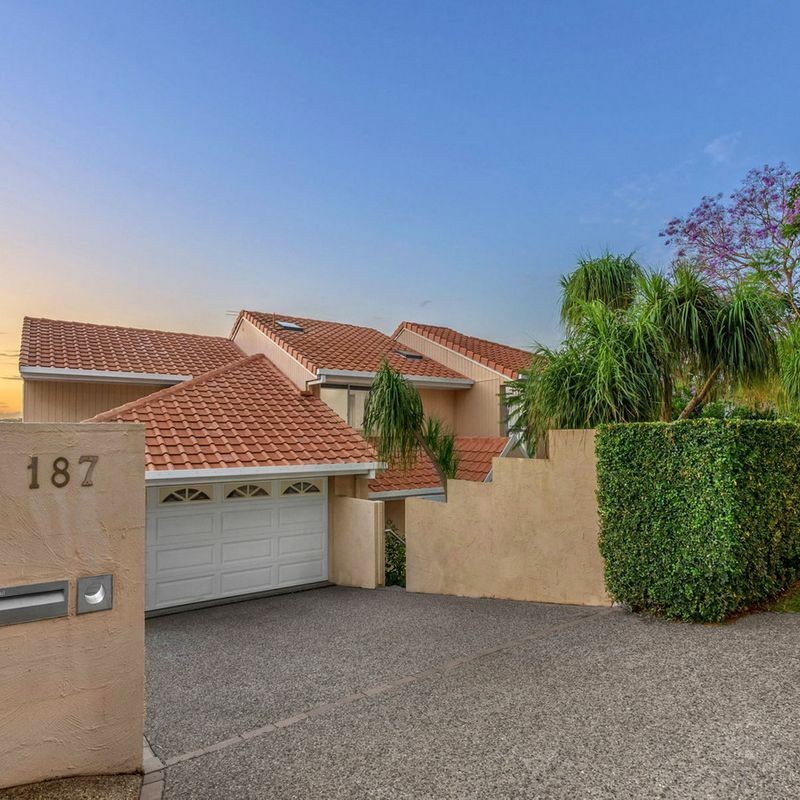 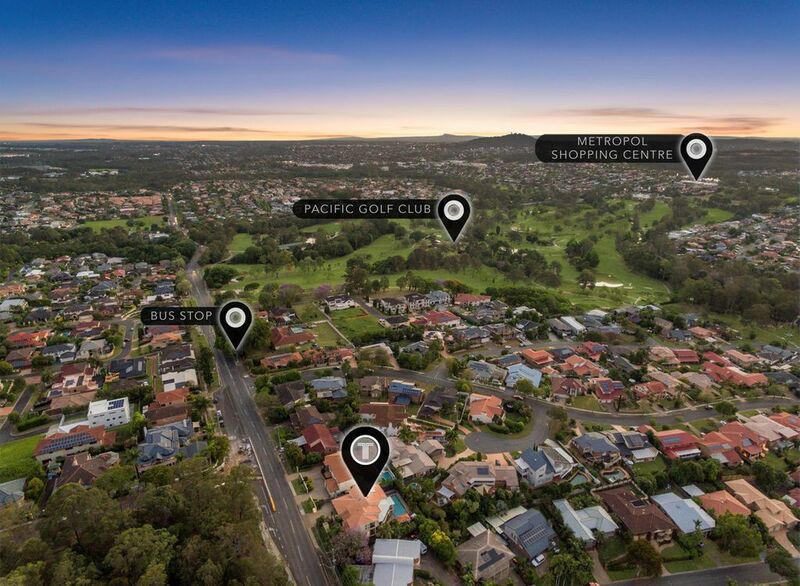 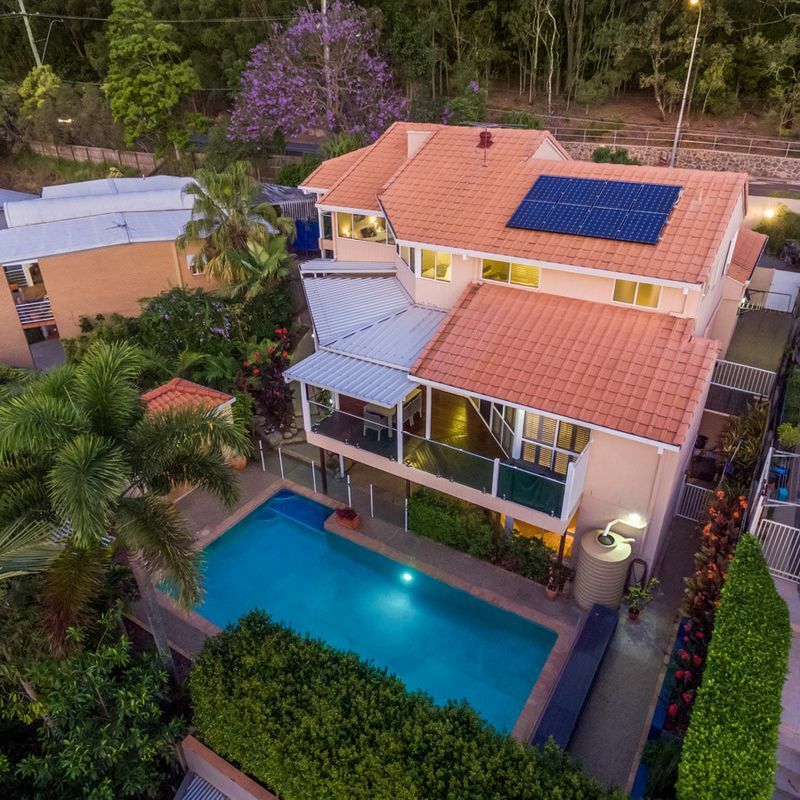 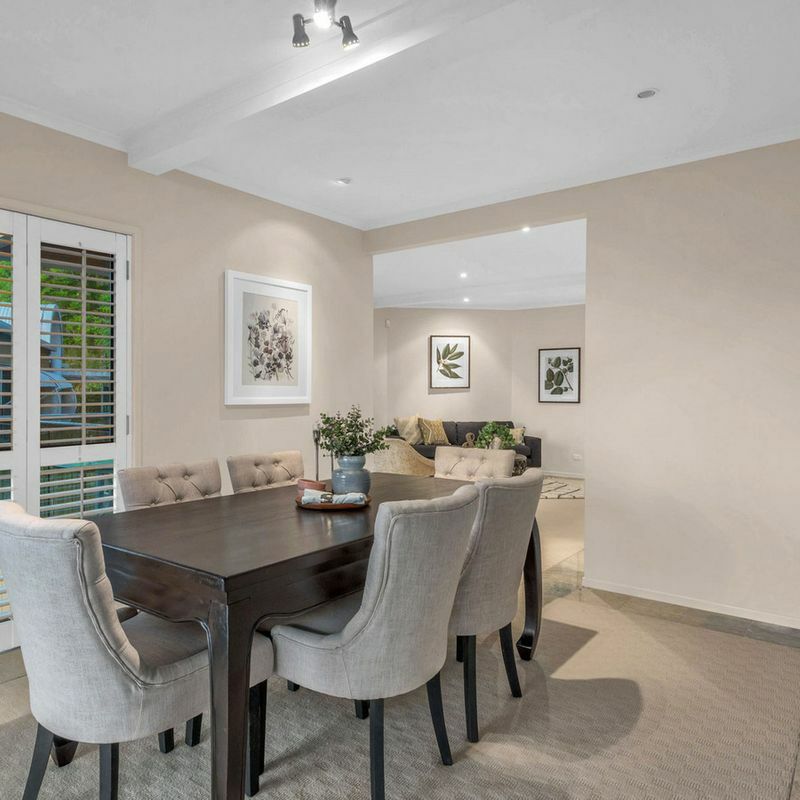 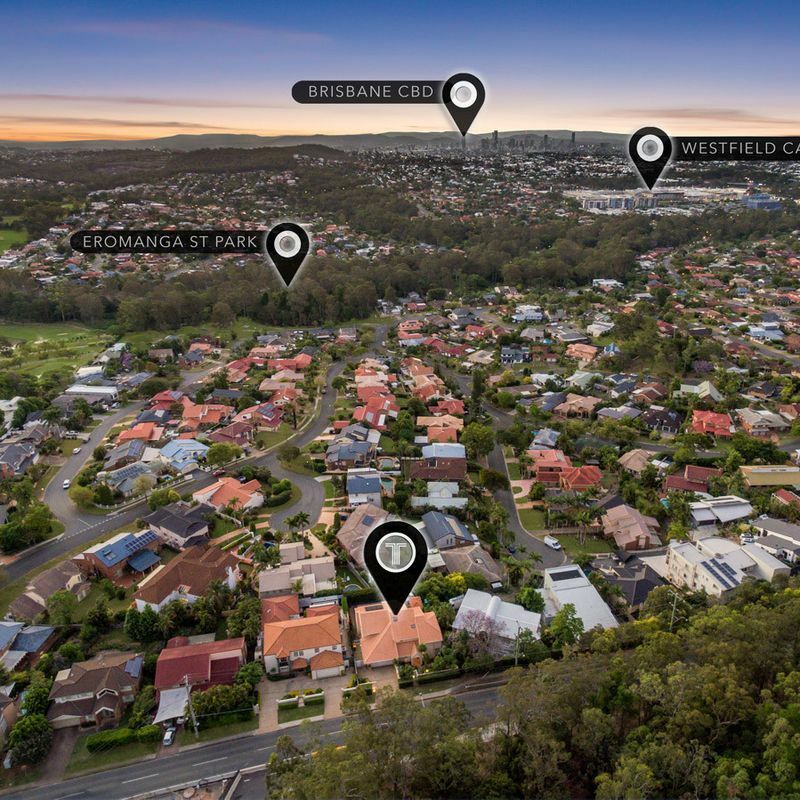 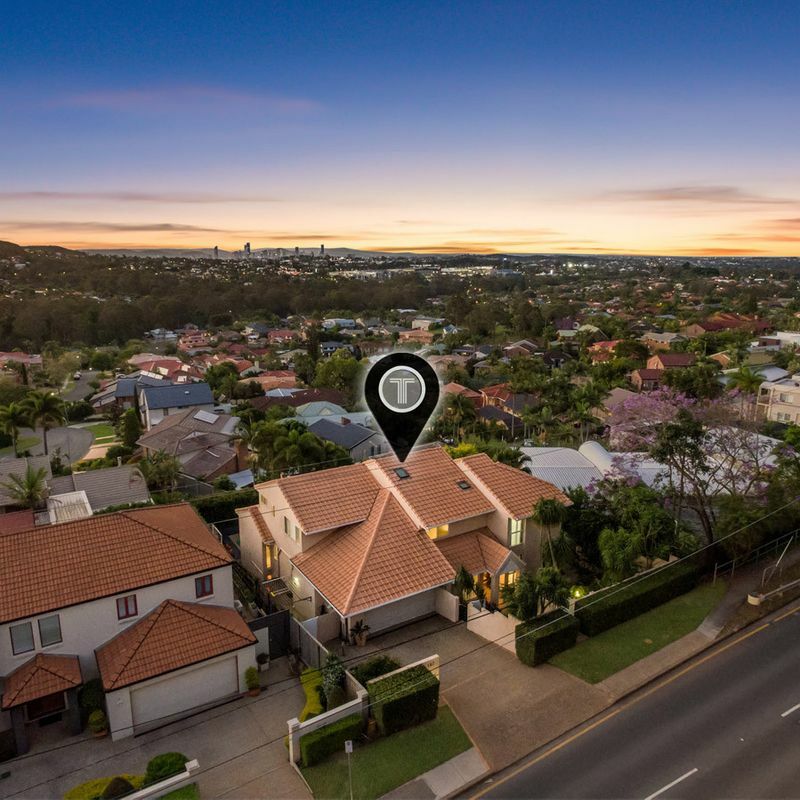 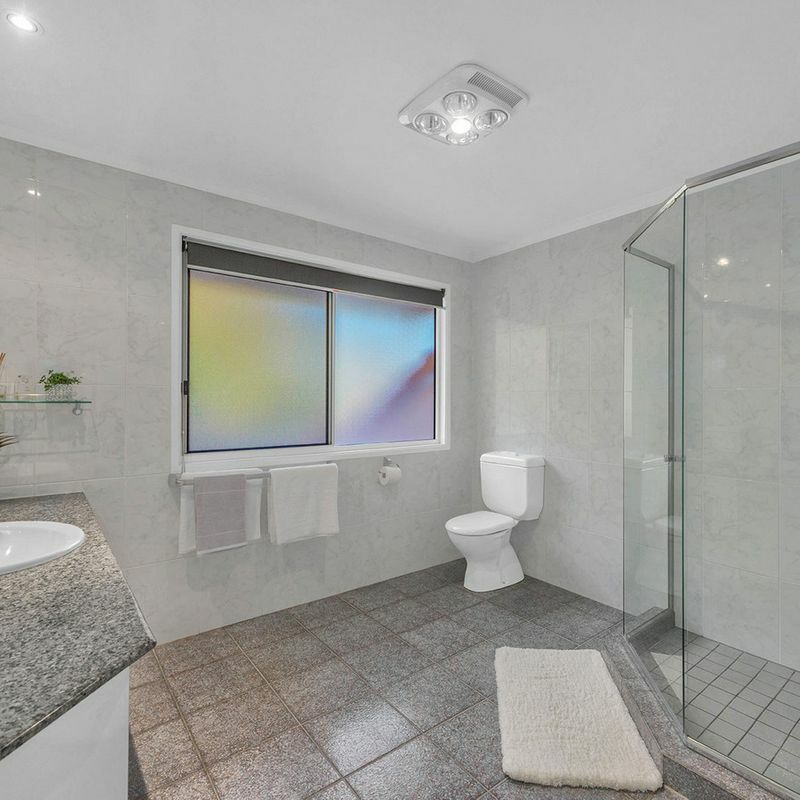 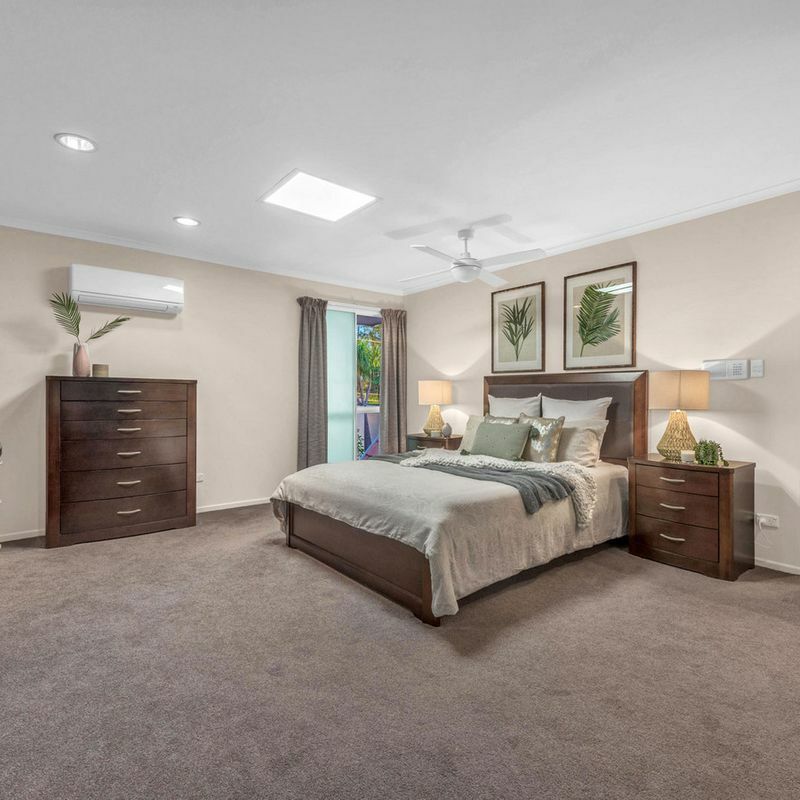 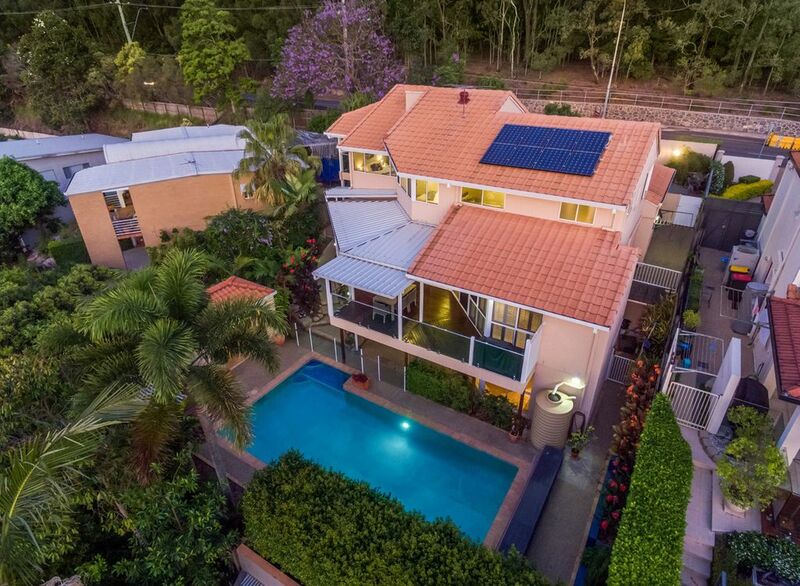 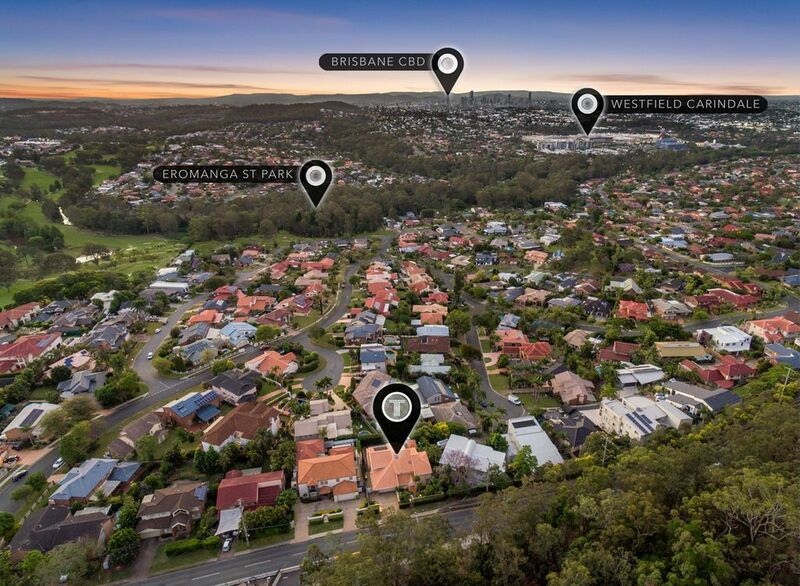 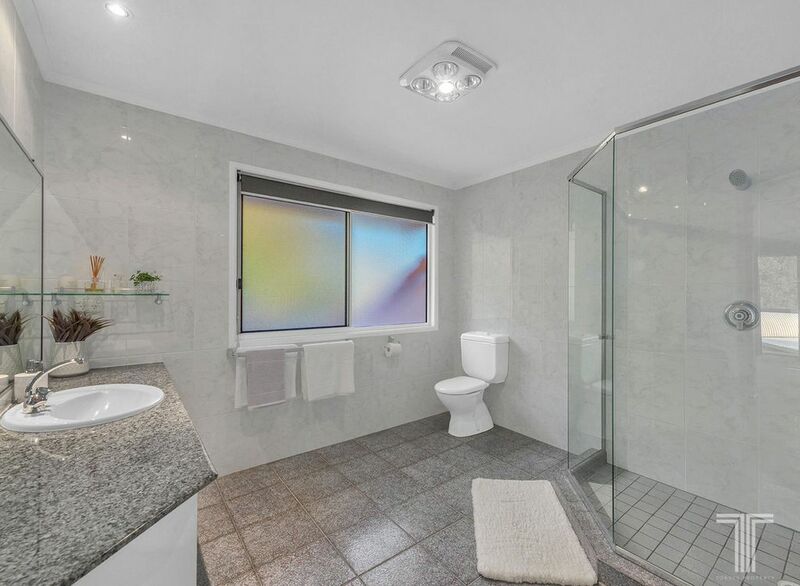 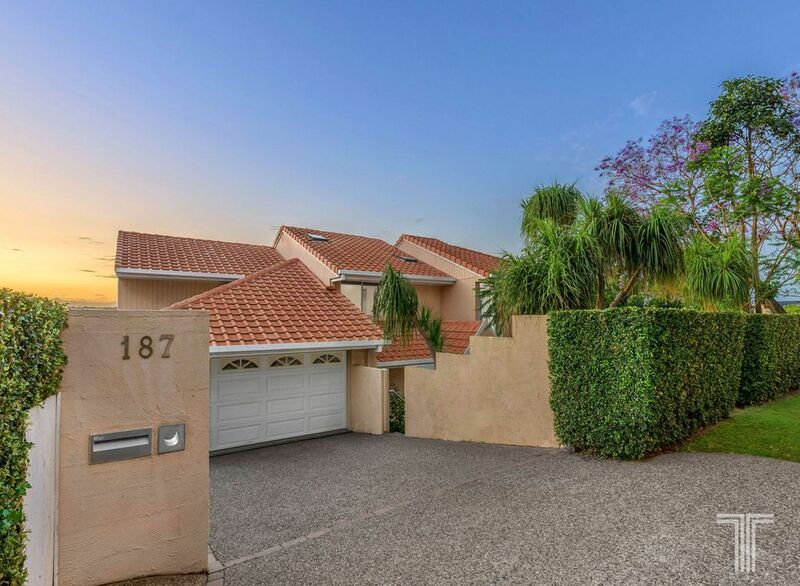 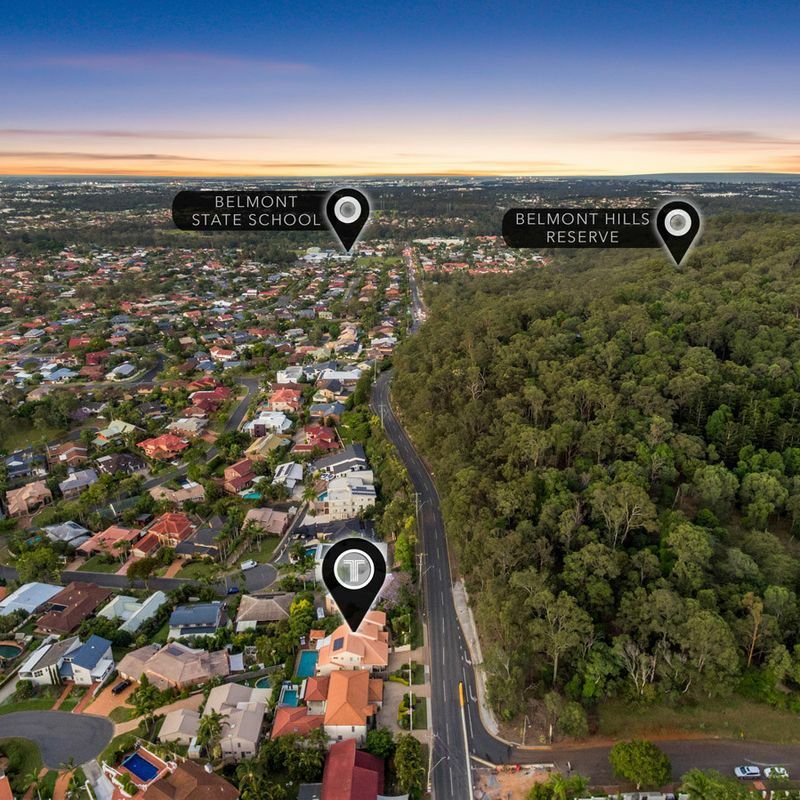 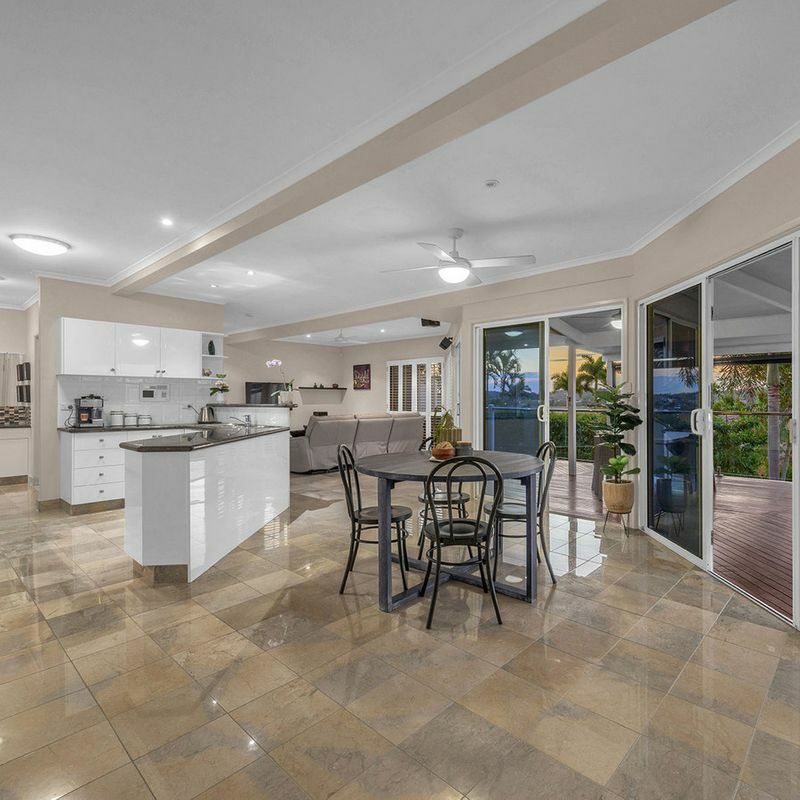 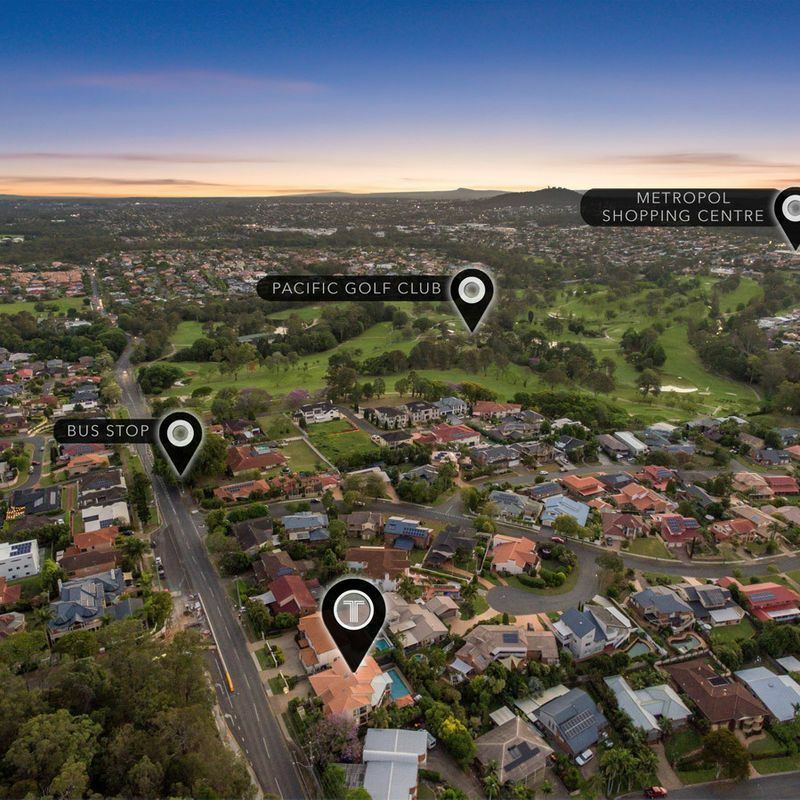 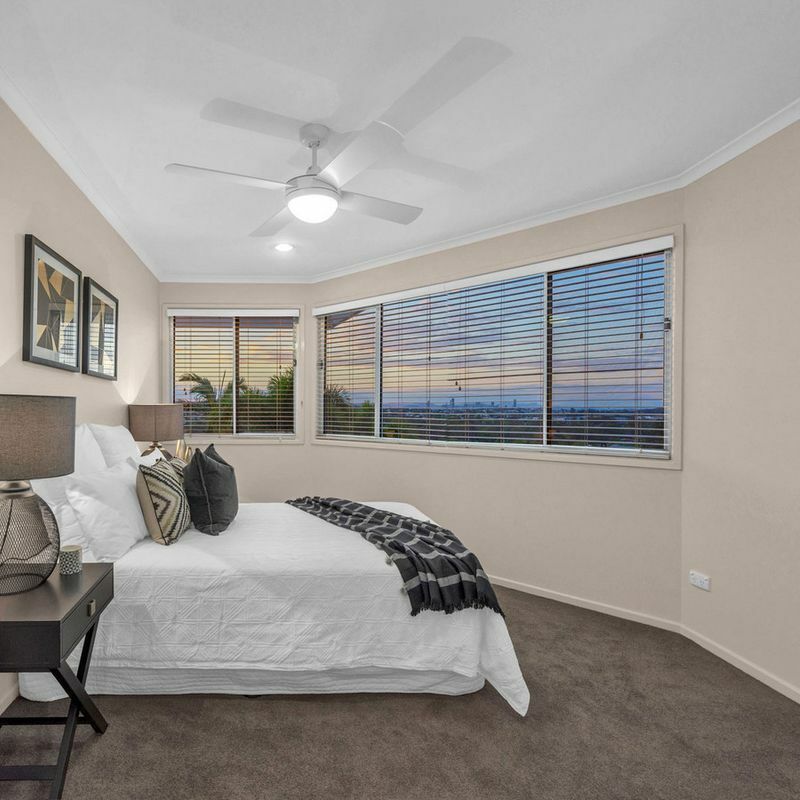 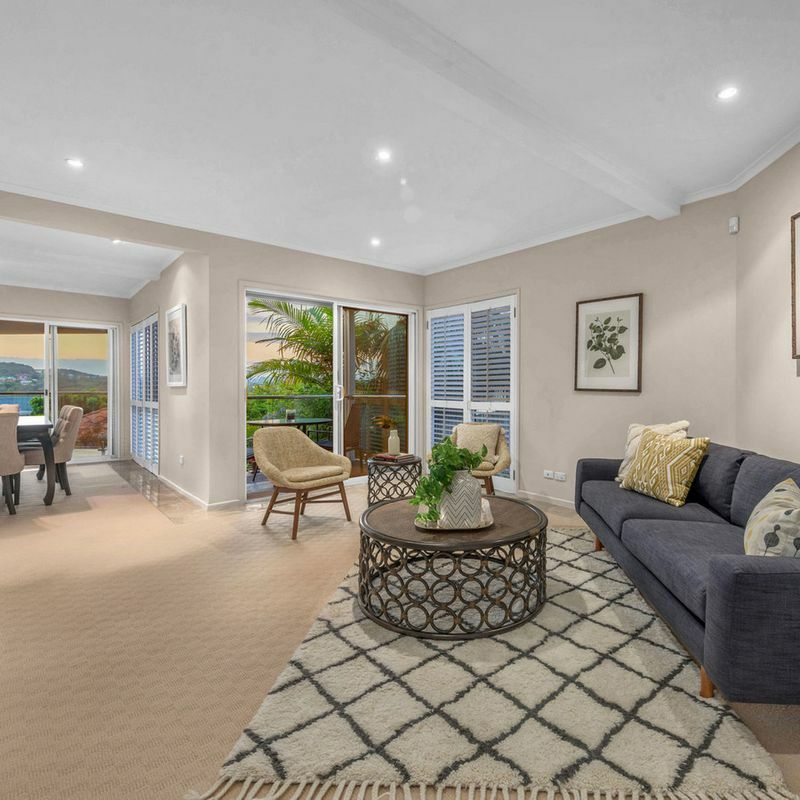 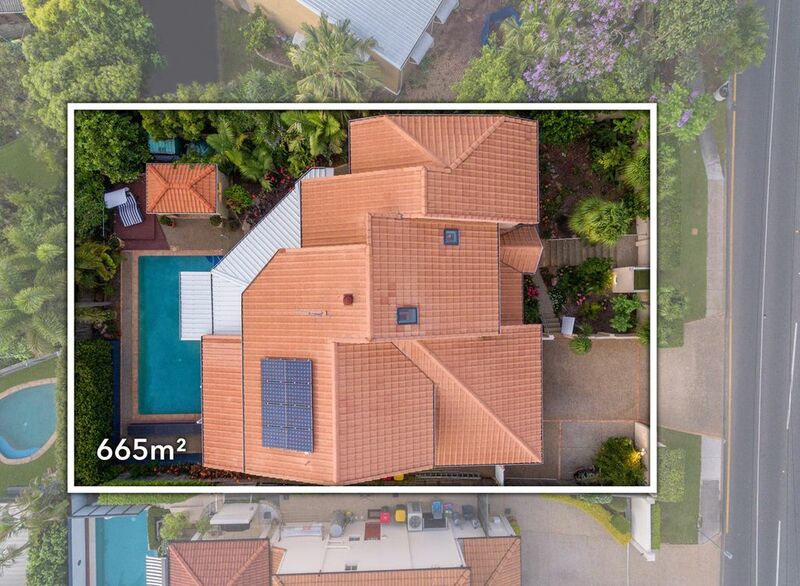 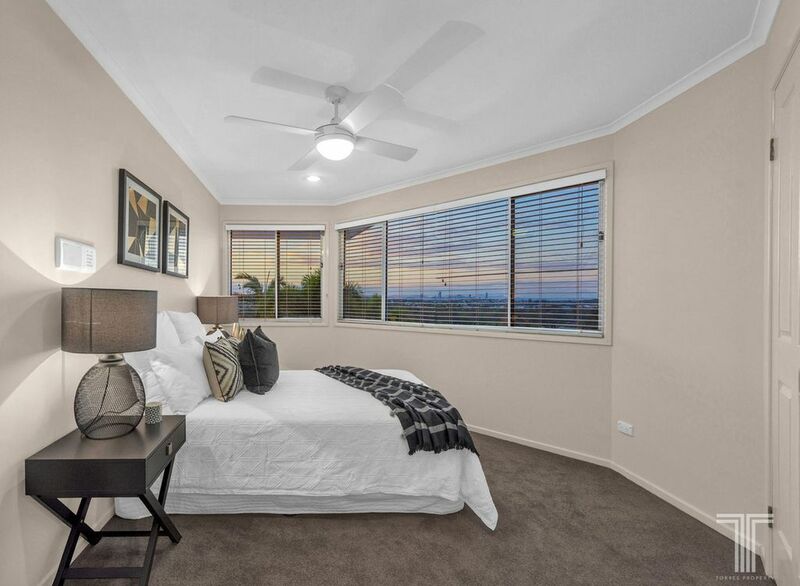 Beautifully positioned just a short walk to Eromanga Street Park and Pacific Golf Club, this family friendly locale is close to Westfield Carindale, buses, quality state and private schools, and the Gateway Motorway for easy trips up and down the coast. 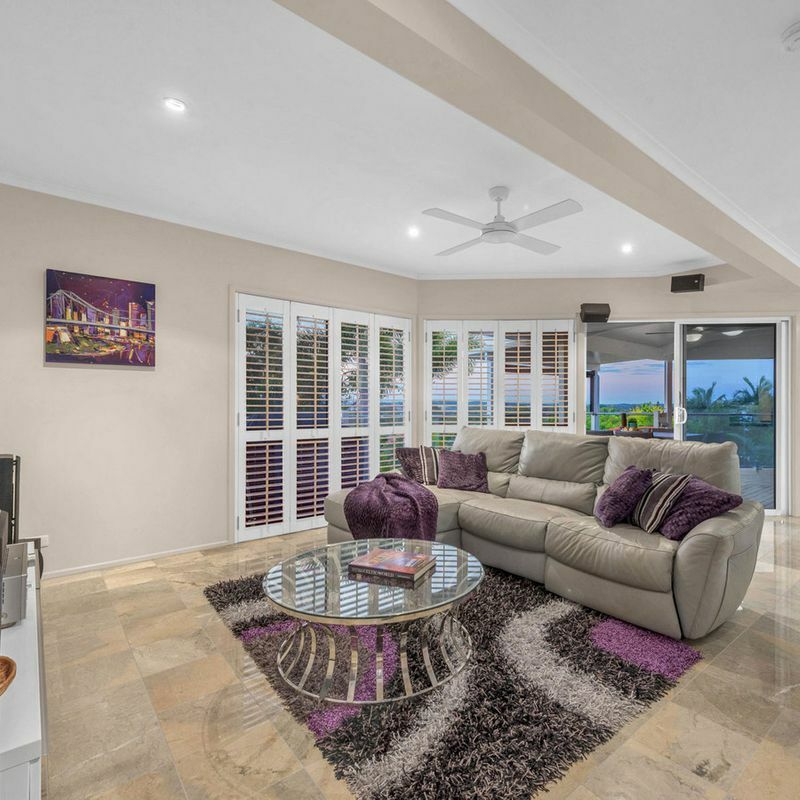 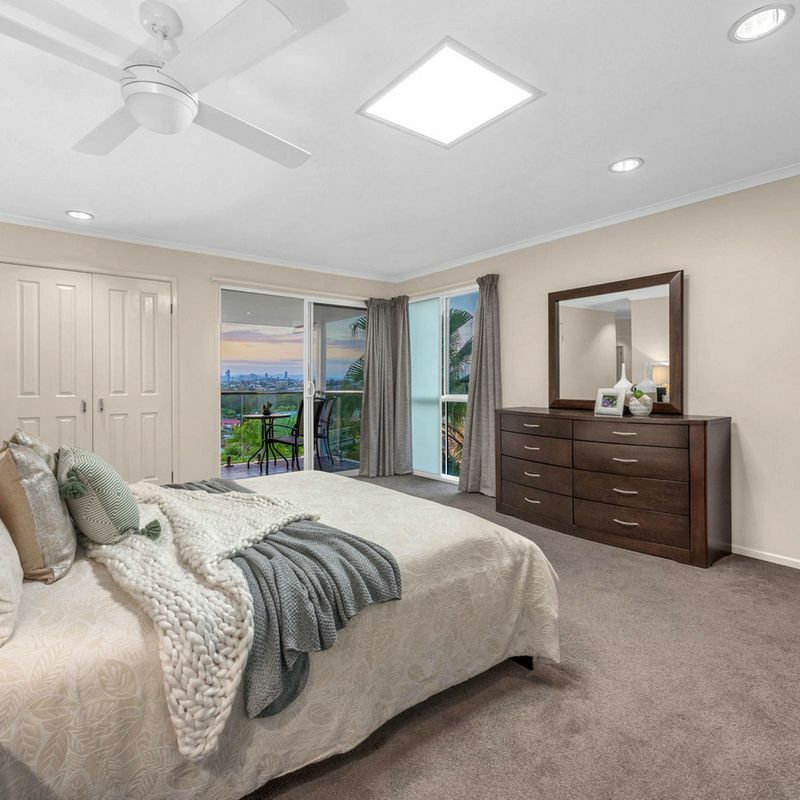 Your own private sanctuary – enquire today!